Sessions UK supply a comprehensive range of high quality plain white self adhesive labels. 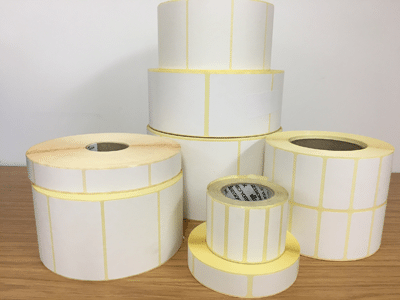 Our plain white labels are available in rolls and sheets on many materials including paper, vinyl, plastic with permanent or removable adhesive. Whether it’s a square, rectangle, circle, oval we have a plain white label that’s just right for you. We have an extensive cutter library available so can usually find the size you want or come very close. If you need a quote for plain white labels please fill in the form below.